No commuting costs and more spare time… working from home sounds ideal, doesn’t it? However, people who choose this route often discover that it takes a toll on their health. And it’s not just the lack of exercise affecting physical wellbeing, it’s becoming increasingly common for this workstyle change to impact mental health too. Thankfully, there are some simple steps you can put in place to stay fit and healthy when working from home. With the lure of nearby workplace eateries traded for direct access to your kitchen cupboards, you think it’d be easier to be healthier when homeworking. Yet you might find yourself indulging in unhealthy meal choices out of convenience. This could be by picking unwholesome ready-made selections at the shops, feasting on snacks, or even opting for takeaway frequently. Taking the time to rustle up a healthy meal will help to avoid this, as well as ensure you take regular breaks, leading to better mental health. But it’s important to find a routine that works for you; if you can’t dedicate the time to make lunch in the middle of the day, put time aside during the evenings or in the morning before you start work. If meal-making just isn’t your forte, then the process doesn’t have to be complicated. You can simply chop up some ingredients for a salad as a way to boost your body with nutrition. Rather than snacking on crisps and chocolate, quickly blend together a smoothie to sip up when you feel peckish, or nibble on some dried fruit and nuts. That way, when you do get busy, you will have plenty of healthy choices available. Eating healthily is fantastic for improving both your physical and mental wellbeing, and exercise can help too. Unless you already regularly partake in it, whether you’re a gym-goer or enjoy a specific sport, you might find there’s never a reason to exercise. Perhaps you’ll not need to venture much further than downstairs for work, or even no less than from your bed to the desk in your room! It’s therefore a good idea to go for a walk outside every day. Even if you do other exercise, it will prove valuable as you can do it during the working day, giving your mind and body a rest from working. Fresh air has a number of benefits, including making you feel happier, boosting energy, cleansing the lungs, and strengthening the immune system. And physical exercise isn’t short of advantages either. It reduces the chances of specific diseases and illnesses, along with improving self-esteem, mood and sleep quality. On top of this, it lessens the risk of stress, depression, dementia and Alzheimer’s disease. By mixing physical activity with fresh air, the rewards for your physical and mental health are significant. Maybe you live in an area (the middle of a city centre, for example) where going for a quick, peaceful walk isn’t possible. Or perhaps there will be days where the weather doesn’t really allow for it. You can still feel the benefits of exercise by setting aside a space to carry out physical activity indoors. This ‘home gym’ could consist of the equipment that motivates you the most. You could get a fitness mat or exercise ball for activities like yoga or calming practices such as meditation. If you fancy a bit more of a powerful workout, then place an exercise bike in there. Another idea is to perform exercise whilst at work. For example, you can sit on the exercise ball, which will help to improve core strength as well as posture. Standing desks are becoming increasingly popular too, with benefits such as weight loss and boosted mental health. You can have a devoted space for other activities too – like those for a spot of R&R whenever you need it. This leisure environment could consist of comfortable seating and other items that will help you relax. Perhaps place the television in there, or a selection of books and objects for other hobbies or interests. Make sure there are no job-related temptations, as otherwise you risk separating enjoyment and work. Help create the distinction by establishing a dedicated space for your work as well. Allocate a specific room, or if this isn’t possible then corner off a section of one. Hanging a curtain or placing an item that blocks the area off from the rest of the room, will signal a clear division and mentally deter you from working when you shouldn’t be. This office space should ensure you can stay fit and healthy as well. For example, choose an appropriate chair, and keep it feeling organised by making it as clutter-free as you would in a shared office. The workspace is not the only thing that benefits from being organised. How you plan your day can make or break your productivity, along with how you feel mentally. Start with getting changed and eating breakfast before work. It might be tempting to stay in your pyjamas, but this will make it harder for your mind to separate work and home. Try to get into the mindset by wearing attire that’s suitable outside the home too. In your plan, make sure to schedule in regular breaks. If you don’t take the time to relax, then you will likely begin to feel stressed and exhausted. This will ultimately make you less efficient, and so cost you more time. A strict schedule will also help you to prioritise what tasks are most important, and ensure they are completed on time. With goals set out on a daily basis, you’ll be able to feel more accomplished and track your achievements too. Therefore, when tasks aren’t finished, you can easily analyse the reasons why. It may be that some duties don’t get done simply because they are difficult and you don’t like them. This is likely the case with administration responsibilities such as filing the Self Assessment tax return. Instead of having it as a constant ‘to-do’, you can get it out of the way in minutes with tax return software. This makes it as simple as can be, meaning you won’t feel stressed in the process either. 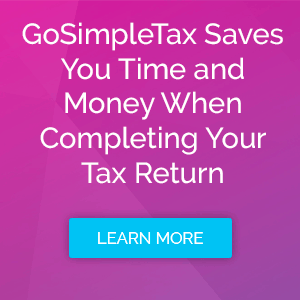 GoSimpleTax is incredibly straightforward: just enter the required information, and the sums are calculated instantly. Tax-saving recommendations are made, and once you’re ready to submit to HMRC, you can do so directly from the software. Want to experience the advantages for yourself? Sample our tools for 14 days at no cost, and then enjoy the full suite of benefits with an annual subscription.